With critically acclaimed new album Arms freshly delivered to shops and an international tour calling, Dom Phillips of Bell X1 sits down to talk with Features Editor, Killian Down, about the anxiety that comes with unveiling new music, the commitment to evolving, and legging it down to Clonakilty. The scale on which we measure the success of contemporary Irish acts, and bands in particular, is slightly distorted. The distortion stems from the top end of the scale, from a band so immensely popular, so beloved, that judging the success of another with any semblance of relativity becomes a rather difficult task. Lest you think I’m slightly overshooting the mark as regards the popularity of Bell X1, I should point out I am, of course, referring to U2. If we put U2’s perspective-skewing success to one side, Bell X1’s achievements come into sharper focus. This is a band who have had three albums chart at number one in the Irish charts, and whose last four albums have been nominated for a Choice Music Prize for album of the year. A band who’ve shared a producer and mixer with The National. And yet, there is something of the enigma in Bell X1. It’s almost as if their success is a bit of a secret – they’re certainly not a name that would roll off mammy’s tongue and you’re unlikely to find them as an answer to a pub quiz question. Their success has not, however, gone unnoticed by the all-powerful critics, with Hot Press describing them in blush-inducing terms as “critics’ darlings.” When I speak to Dominic Phillips, songwriter and bassist with the band, there is three weeks to go before the release of the band’s seventh studio LP, Arms; the album has since come out and yet again critics are waxing lyrical about the Irish three-piece. It seems then that the band have hit the oh-so-rare sweet spot of critical acclaim and domestic commercial success minus the parasitic attachment of the kind of fame that extends selfie sticks and tints car windows. As successful as they are, the band’s work is primarily consumed by an Irish audience, so when they are recognised in public, it tends to be on home soil. The concept of fame in Ireland was something I had been ruminating on in the lead-up to our conversation, and I put it to Phillips that being well-known or famous in Ireland is a very different experience to the equivalent anywhere else in the world. One of the these “festival-y type things” happened to be the Main Stage at this year’s Electric Picnic, a fact Dom neglects to mention. At this point of the interview, his humility comes as no great surprise. Warm and thoroughly likeable throughout our conversation, he displays a self-effacing nature made manifest through never bigging himself or the band up. He’s contemplative in his responses to my questions which hints at a thoughtfulness that, if left unchecked, could perhaps lead to over thinking as regards releasing new music to audiences. Was there a sense of angst when playing then-unreleased songs at festivals and gigs over the summer? A strong desire for variety and experimentation is not only a tenet of their song-writing philosophy; there is a marked contrast in the size and style of performance space that the band have used in the past decade too, ranging from relatively miniscule venues like Cork City’s The Pav and Clonakilty’s De Barra’s, to mid-range theatres like the Olympia, to the gargantuan Croke Park – a venue the band have played twice as a supporting act. For now, however, it’s “full-on shows for the foreseeable”; by the time Motley has gone to press, the three lads and a cohort of musicians drafted in for live gigs will have embarked on the Arms tour. The tour begins with sold-out gigs in Live at the Big Top in Limerick and Cork Opera House on the 28th and 29th of October, respectively. The tour culminates in two January gigs in Dublin’s Olympia Theatre, with shows in Belfast, London and Australia squeezed in along the way. Who needs the approval of mammy and the local pub quizmaster, anyway? Arms is available on iTunes and Spotify and in all good record stores. 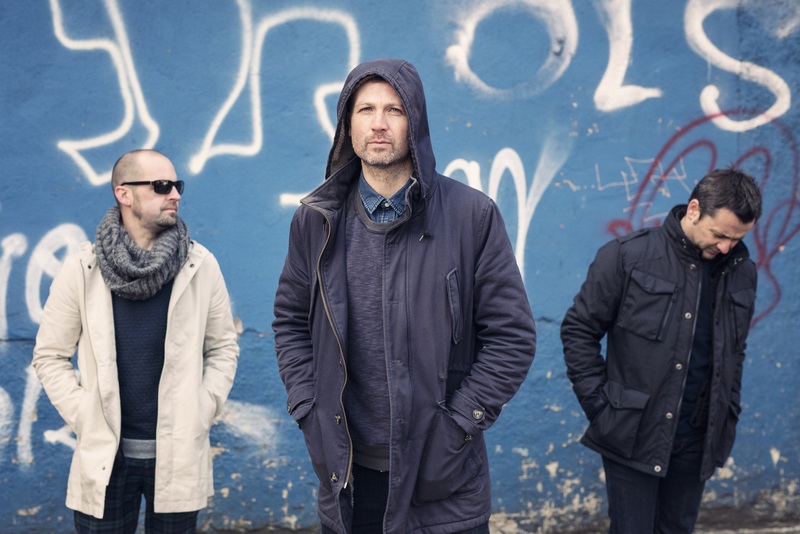 For details of Bell X1’s tour, see bellx1.com.